During the winter months, I find that my skin gets much drier than usual. Quickly going from the cold outdoor temperatures to the warm indoor temperatures really drains all the moisture from my skin. If you have dry, sensitive skin like mine, you might understand exactly how I feel. I’m always on the lookout for hydrating products that won’t irritate my skin. 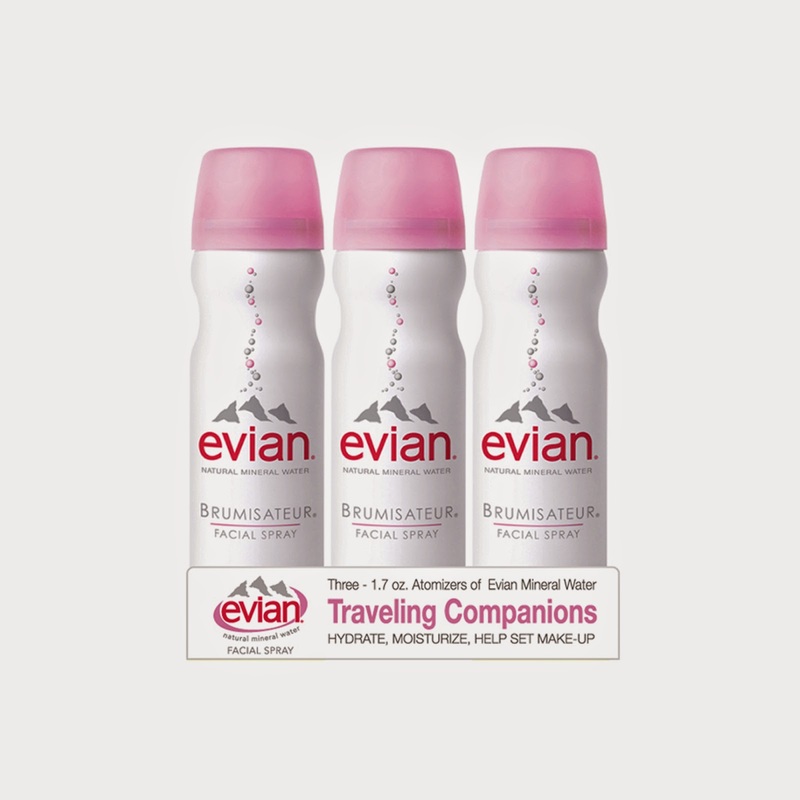 Luckily, thanks to BrandBacker and Evian, I’ve added a new product to my Beauty arsenal, Evian Brumisateur Natural Mineral Water Facial Spray. For my evening skincare routine, after removing all of the day’s makeup and washing my face, I'll mist my face to remove any remaining tap water and cleanser, while also toning and hydrating my skin. I let the mist settle into my skin by either fanning my face or lightly patting my face dry, followed by moisturizer to seal in the added boost of hydration. This simple step that I've added to my evening skincare routine has allowed me to wake up every morning with a hydrated and glowing complexion. I also love using Evian Facial Spray to set my makeup. When I’m done applying my makeup, I lightly mist my face in a circular motion, holding the spray about 9 to 12 inches from my face. I find it not only sets my makeup, but it also gives my face a dewier, natural look. The 5 oz. leak-proof canister that I have is perfect to take on-the-go. I usually stash it in my backpack during the work week for use at the office. I use it throughout the day, whenever I feel like refreshing my skin. 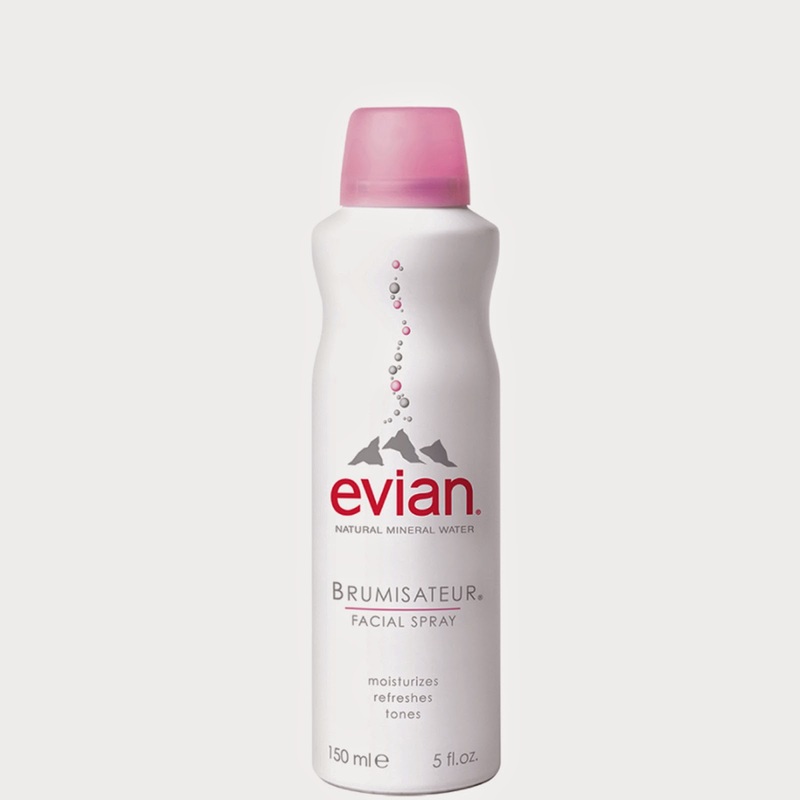 The Evian Facial Spray is available in a few sizes, depending on the retailer. Most stores carry three-packs of their smallest 1.7oz (50ml) travel-size sprays that typically retails for $19.50. If you can pick up a trio, you’ll be able to keep a canister at your fingertips whenever you may need it. This size is perfect for stashing in your purse or keeping at your desk at work! (Also, if you can find it, a single travel-size spray retails for $7.00). If you’d like a bigger canister like the one I have, there’s also the 5oz. (150ml) size, which is great to stash in a gym bag or tote. (The 5oz. canister typically retails for $12.00.) Lastly, there’s an economy/professional 10oz. (300ml) size for your home vanity that typically retails for $17.50. Also, FYI, prices will slightly rise on February 1st of 2015, so I’d suggest buying it ASAP! If you do pick it up, be sure to let me know what size you end up getting and how you like it! Special thanks to BrandBacker and Evian for sponsoring this post. 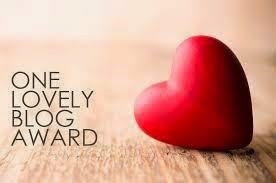 This award is given by bloggers to other fellow bloggers, as a fun way for bloggers to recognize each other, especially smaller, growing blogs. It allows bloggers to increase their following as well as get to know one another a little bit better. I love how this award simply recognizes any and all bloggers brave enough to share their posts with the world. It encourages bloggers to stay fearless and promotes self-expression, which I support and agree with wholeheartedly. 2. List the rules and display the award logo within your post. 4. Nominate other bloggers you want to know better. 5. Follow the person who nominated you on Bloglovin'. 7. I have a "teardrop" birthmark beneath my right eye. However, you'll hardly ever see it in pictures of me, since I do feel that my left is my better side. With holiday parties lined up throughout this month, I've been looking for a way to cut my party prep time in half. With a huge thank you to BrandBacker and KISS USA, I want to share with you my newest beloved hair tool, my KISS InstaWave Automatic Curler! At first glance, the KISS InstaWave Automatic Curler does look a bit intimidating. Honestly, I was a bit hesitant to use it at first, fearful of my hair getting caught in the rotating device. Rest assured, the InstaWave is indeed a fully tangle-free curler that instantly creates beautiful curls! It's super easy to use from any angle with either hand. The curl dial has both left and right curl directions. I personally prefer to curl my hair away from my face on either side, when trying to create a more polished look. For a more natural look, you can also alternate the direction of the curls you make with each new strand of hair. Holding the wand vertically. the innovative looking dial spins, wrapping your hair around the wand with very little effort. I keep my hair wrapped around the wand for anywhere from 5 to 10 seconds. The longer I wait, the tighter the look of my curls and less natural and beachy looking. If you're still hesitant about using this intimidating looking hair tool, know that it has 2 heat settings low and high. If you have hair like mine that holds curl very easily, you'll definitely be able to use it at the low setting. On high, the maximum temperature it reaches is 420 degrees. Regardless of the heat setting you use, I'd recommend using a heat protection spray. (My personal favorite is TRESemme's Thermal Creations Heat Tamer Leave-In Spray. It provides protection up to 450 degrees!) Also, as a great safety precaution, for those of you who may be forgetful with your heat tools, the InstaWave automatically shuts off after 90 minutes. Special thanks to BrandBacker and KISS USA for sponsoring this post. With only 15 days left until Christmas, if you’re a procrastinator, you might be scrambling to get a couple of gifts together for those last few friends or family members on your shopping list. Today, I’m going to share a couple of my favorite subscription box services as a gift guide for the Fashionista or Beauty Lover in your life! 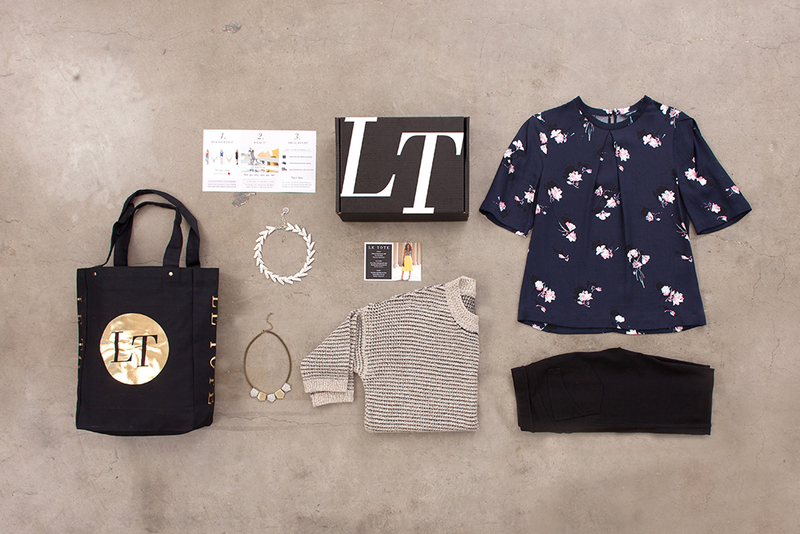 LE TOTE is best described as the Netflix for Clothing and Accessories. With a Le Tote gift card, you provide that special someone with unlimited rentals with FREE shipping both ways. They can place their most wanted items from the website into the Closet, so in each tote, they get to try three clothing items and two accessories chosen by an amazing Le Tote Stylist. ipsy provides their subscribers with 4-5 Beauty samples as well as full-sized makeup items for only $10/month or $110 Annually. Although their gifting program has been discontinued, lots of subscribers have confessed to signing up to the Waitlist with an alternate email for their friends and family, and I’d definitely suggest you do the same for your loved ones or even yourself! Check it out here! Most of you already know that I love wearing neutral eye makeup on a daily basis. Lately, I've been on the look out for ways to add a pop of color to my every day eyes. Thanks to BrandBacker and Paula Dorf Cosmetics, I've found my new favorite every day eye palette! I have the Paula Dorf Aztec City Eye Color Palette and the Lash Color in Teal to share with you today. First of all, I loved the sleek packaging of the eye shadow palette and mascara. The mascara especially, because of the smooth matte feeling when I'm holding it between my fingers when applying. The Aztec City Eye Color Palette includes the five gorgeous colors pictured above, with a duo ended brush. The first color in the palette was a white, satin finish, followed by a azure blue with a golden sheen to it. The middle shade was a taupe, satin finish, and the last two colors were matte, light brown and dark brown. I've never owned a colored mascara before, so I was so excited to try out the Paula Dorf Lash Color in Teal. As a contact lense wearer, I was happy to discover the gentle, water-resistant, and smudge-proof formula. With the eye shadow palette and mascara, I was able to create the eye look pictured above. First, I used the matte light brown shade in my crease, followed by applying the satin, taupe shade all over my lid. I then applied the matte dark brown in my outer corners and the satin, white shade on my brow bone. Lastly, I absolutely LOVE the look of the azure blue shade on my bottom lash line. The lighting in the picture above makes it look more golden toward the inner corner of my eye and naturally deepen into the azure blue toward my outer corner. This was BY FAR, my favorite shade in the palette as it's appearance on was constantly changing with the light. Special thanks to BrandBacker and Paula Dorf for sponsoring this post.